The finalists have been announced for the England Golf Awards 2019. Our very own Conor Gough has been shortlisted for Performance of the Year, a great achievement to top off an amazing season! You can read more about the England Golf Awards here. 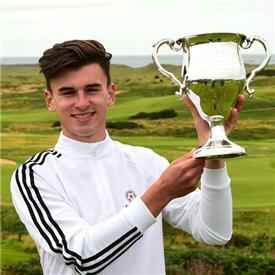 Conor recently moved up to 7th in the World Amateur Golf Rankings alongside being ranked 2nd in the U18 European Golf Rankings.